The key ingredient for a long lasting poured-in-place surface is to rejuvenate and revitalize your surface. Ecoturf surfacing recommends this to be done every 3 to five years depending on surface use. Over the years UV Rays begin to break down the polyurethane binder that holds the granules together. This causes the granules to work loose and cracks to appear. 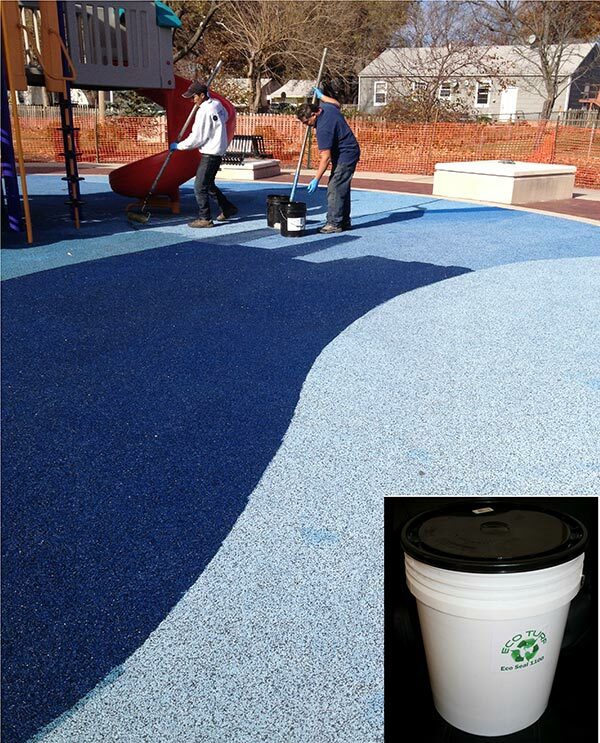 Ecoseal is a specially formulated sealer designed to protect, seal, and enhance existing poured-in-place surfacing. We supply patch kits with easy to use instructions for repairs to poured-in-place surfacing. We also manufacture a product designed to fill any cracks and small holes that may be in your surface. Received a bucket of Ecoseal and are ready to complete your seal?